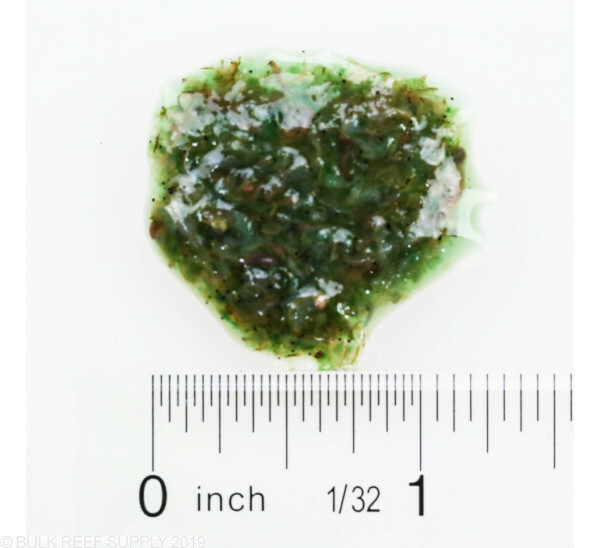 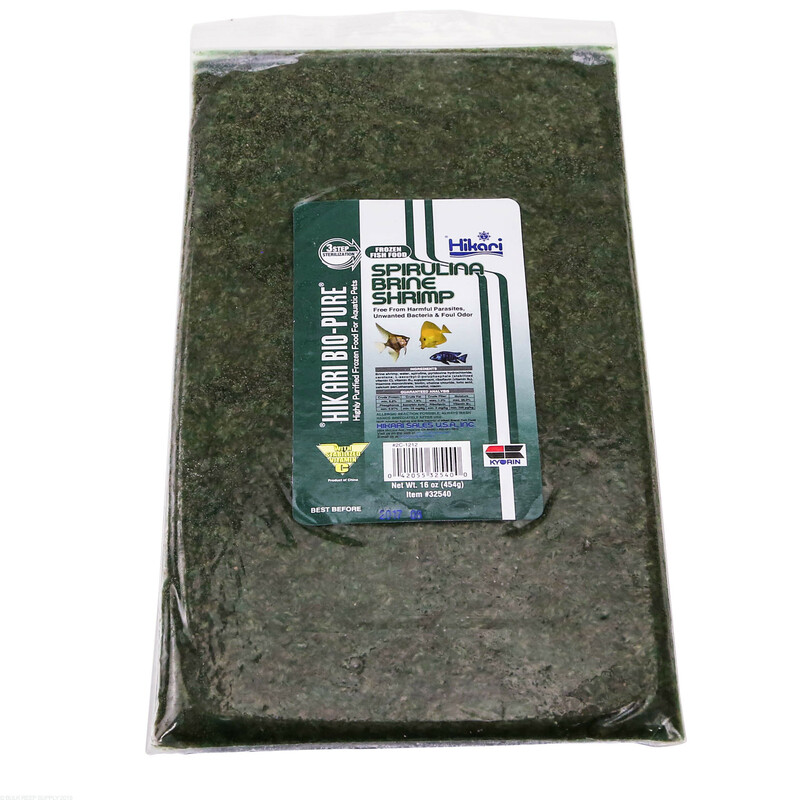 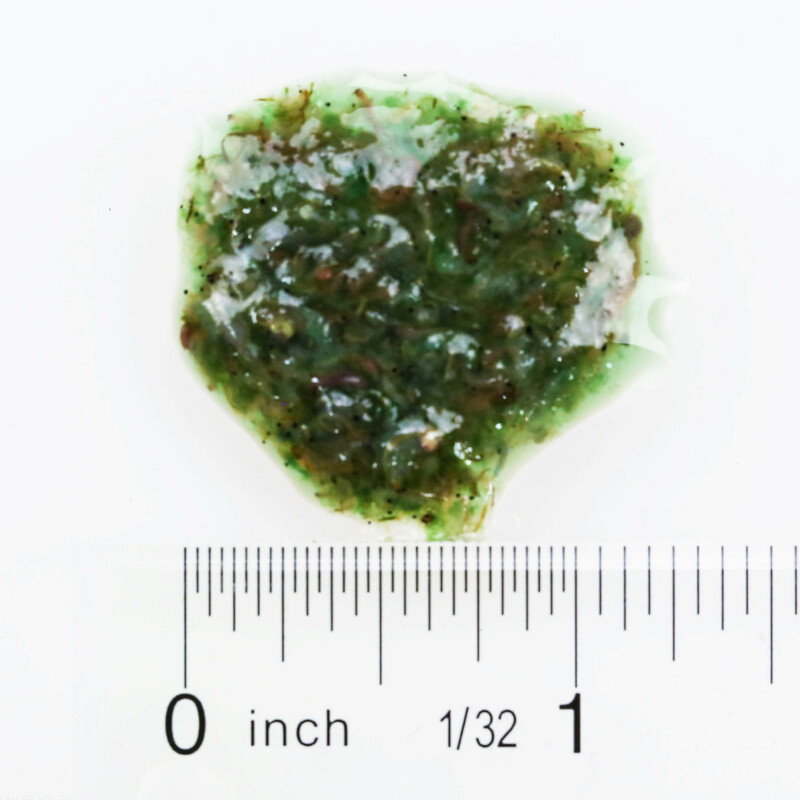 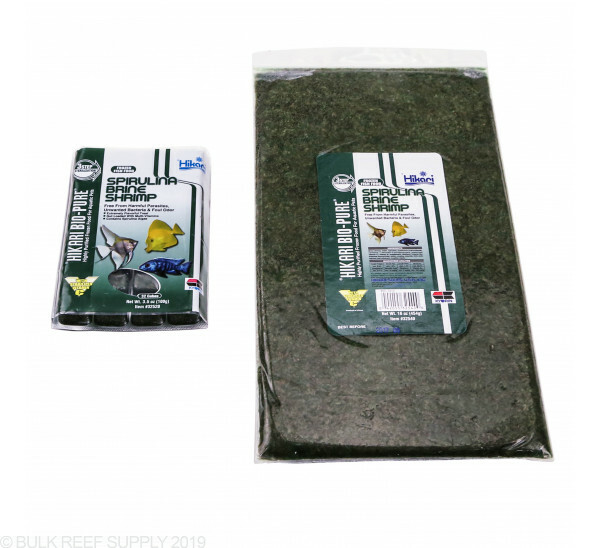 Whole brine shrimp gut loaded with spirulina algae and other natural algae, makes a quality, highly nutritious treat for all kinds of fish large and small. 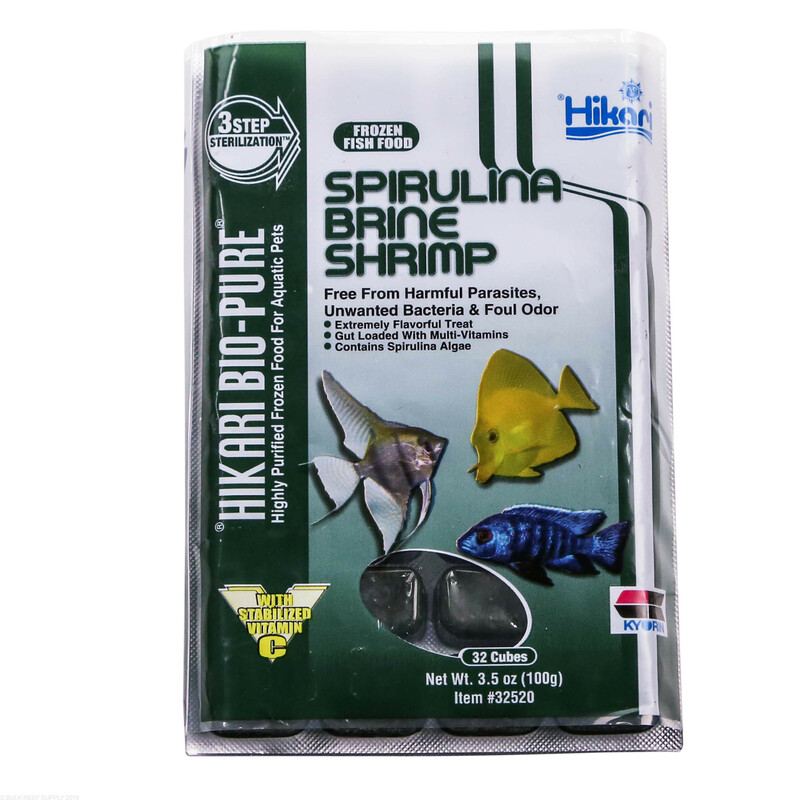 The gut-loading brine shrimp are packed with nutrients making it an ideal diet for new or finiky fish. 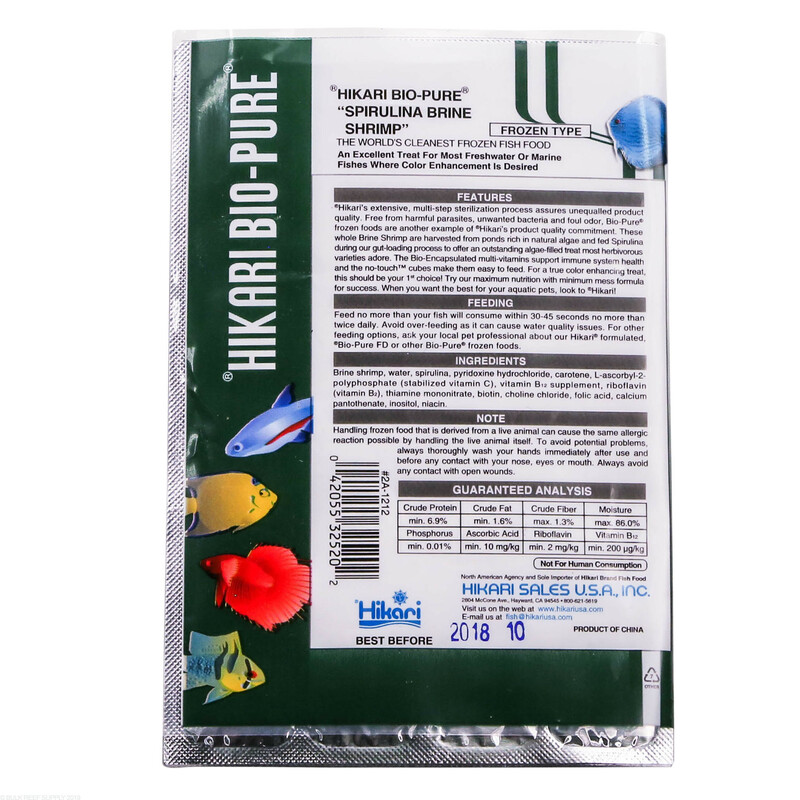 Brine Shrimp are a very common food for fresh and saltwater fish, but do not hold much when it comes to nutritional value, but when gut-loaded they can provide the same nutritional characteristic of the food that is contained within the gut of the brine shrimp. 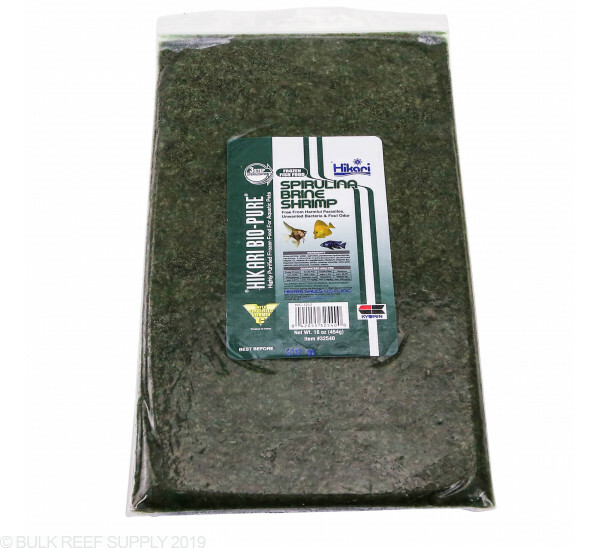 Brine shrimp are commonly used to entice new, or finicky fish into eating frozen foods. 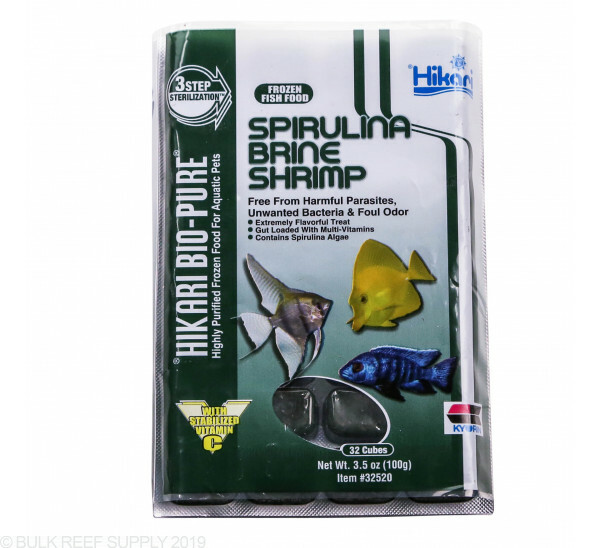 Hikari's Spirulina Brine Shrimp's are gut-loaded spirulina algae which is renowned for its protein content, as well as containing all the necessary amino acids. 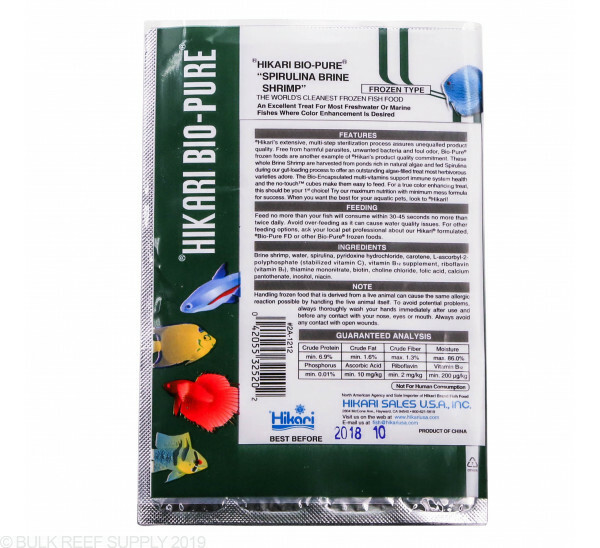 Spirulina Brine Shrimp Ingredients: Brine Shrimp, water, spirulina, pyridoxine hydrochloride, carotene, L-ascorbyl-2-polyphosphate (stabilized vitamin C), vitamin B12 supplement, riboflavin (vitamin B2), thiamine mononitrate, biotin, choline chloride, folic acid, calcium pantothenate, inositol, niacin. 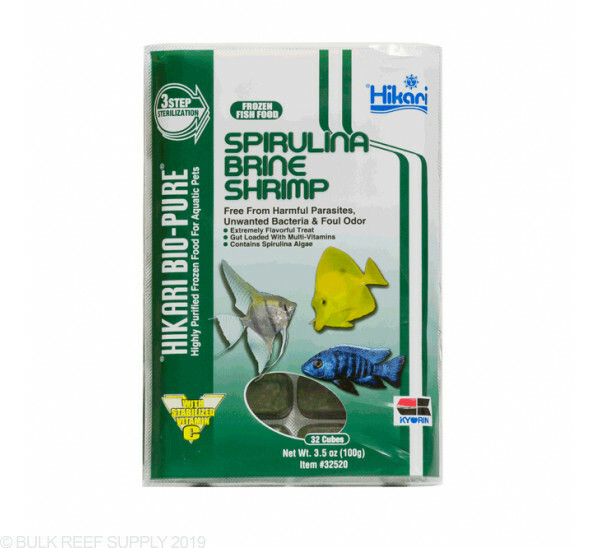 I feed this product to my fish once a day and they love it! 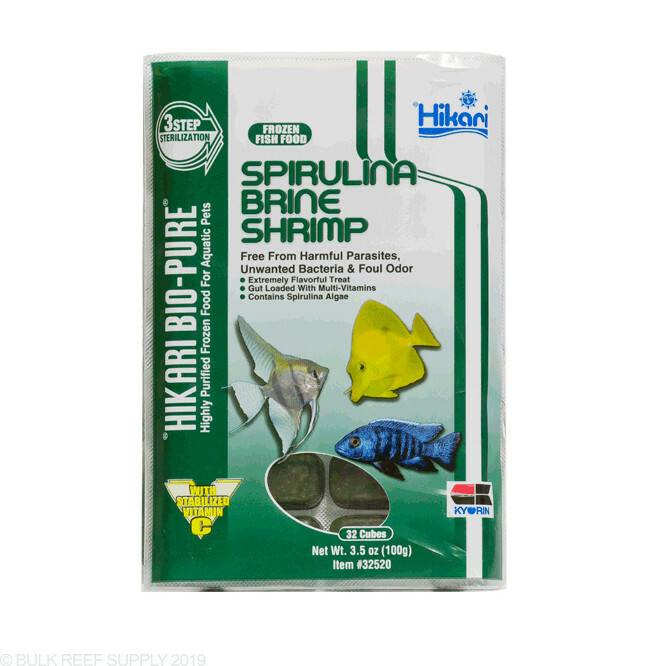 Along with other products from Hikari my fish seem to really enjoy it all. 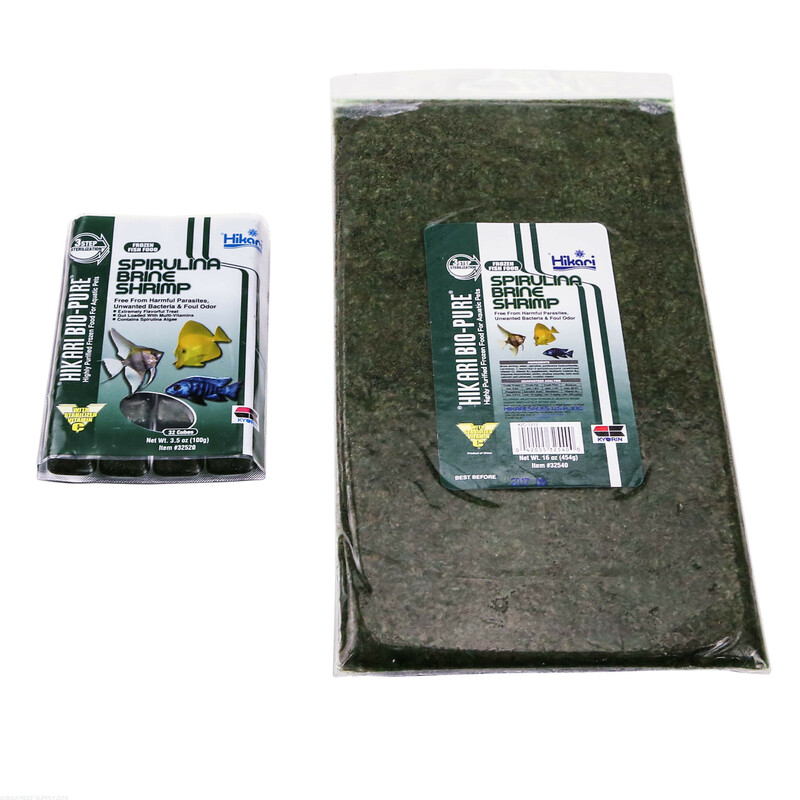 I highly recommend to all beginners and advanced folk.